If you come to breakfast to my house tomorrow, you will be served these delicious Coconut and Cranberry Muffins with Maple Glaze! I’ve made them today and I only made half of a recipe because I wanted to take pictures. They left and I stayed, hungry for more. So, I invite you to join me for breakfast at my house tomorrow, and enjoy these delicious muffins, over some coffee. I’ll set a pretty table. I’ll even let you bring a guest! There’s nothing I like to do better than serve food to people!! These muffins are so easy, they will take you just 10 minutes to throw together, 15 to bake and 10 more to cool down. So, in less than an hour, you can be eating delicious glazed muffins. Regardless, make sure you don’t skip the glaze, though. It makes all the difference. And, really, how often do you have glazed muffins for breakfast? Probably not often enough! Ps. 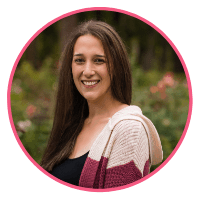 This page may contain affiliate links, and if you click them, I get a small percentage from Amazon! 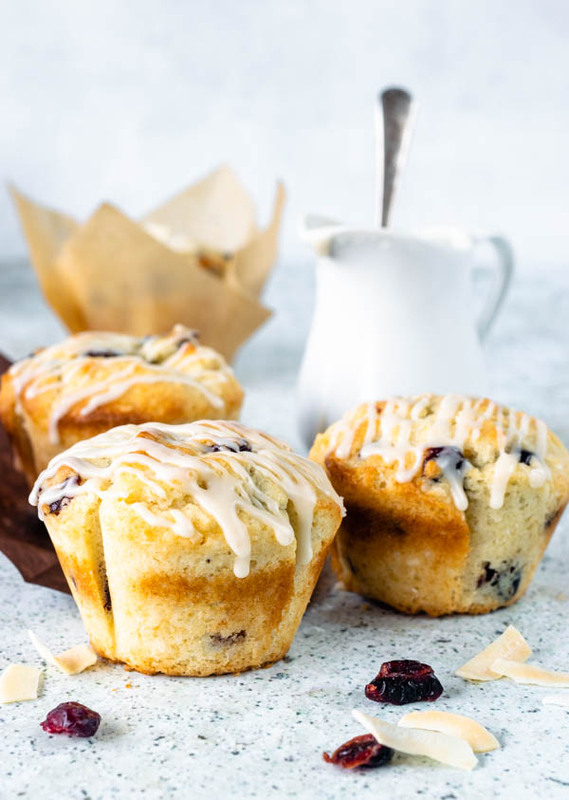 These Coconut and Cranberry muffins with Maple Glaze will be everyone's new favorite! How often do you make glazed muffins for breakfast! Probably not often enough! 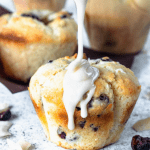 Come join me and learn how to make these easy peasy muffins! Mix all-purpose flour, coconut, cranberries, sugar, salt, and baking powder in a bowl. In a measuring cup, mix melted coconut oil, egg, buttermilk, and vanilla. Whisk them together. Bake for 15-20 minutes, until just browned. Don’t overbake, or muffins will be dry and tough when they cool. Mix all ingredients together and pour over muffins. If it seems too runny, add a bit more powdered sugar. If glaze seems too stiff, add more milk or maple syrup, 1/2 teaspoon at a time. A little bit of liquid will go a long way! I’d love to join you! These sound amazing! No wonder they disappeared so fast! Thank you, Lisa! 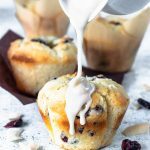 I would love to share these Coconut muffins with you! Those muffins look just delicious. Love that glaze! What an AMAZING idea!!! Beautiful presentation. This is absolutely fantastic!!! One of my favs! Cannot wait to try this! Love! what a delicious muffin I just love coconut! These are absolutely stunning. And yesssss to drinking lots of coffee in the morning while baking muffins – I can’t think of a better way to spend the morning. These look so amazing. 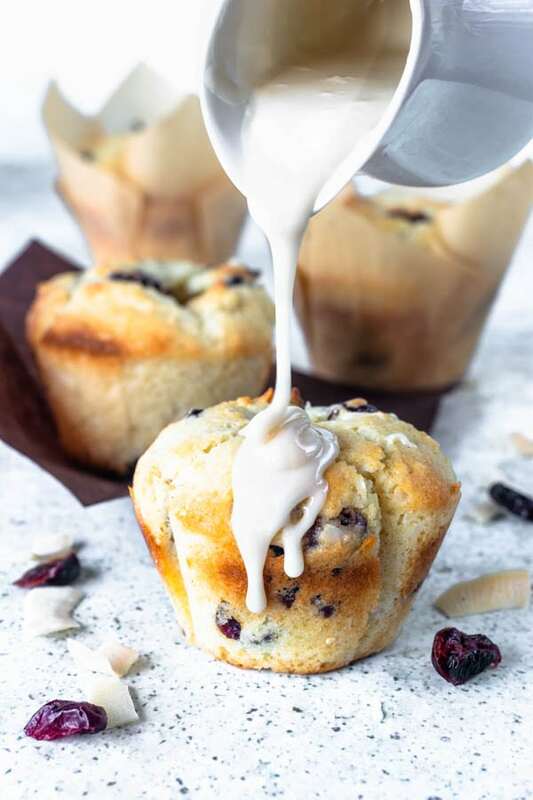 I bought some shredded coconut the other day to do some recipe developing but I think I want to make these muffins instead! Did you use sweet or unsweetened shredded coconut? I used unsweetened shredded coconut, but the sweetened should be fine, maybe tone back the sugar by a tablespoon 🙂 thanks April!